ALAS AUSTRALIA INC (previously ALAS Qld) - Adoption. Loss. Adult. 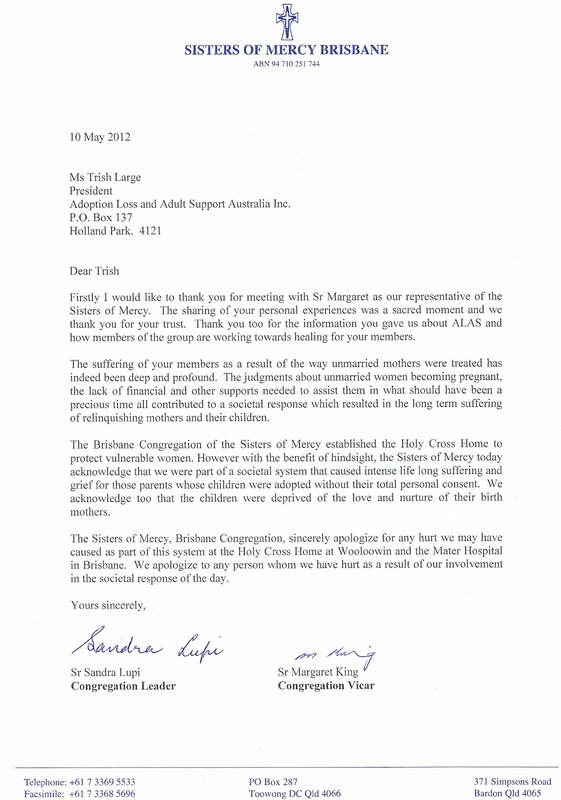 Support: Sisters of Mercy Brisbane Apologise to Mothers. Sisters of Mercy Brisbane Apologise to Mothers.